Join us at the Cardinals Football game for September 15, 2018! 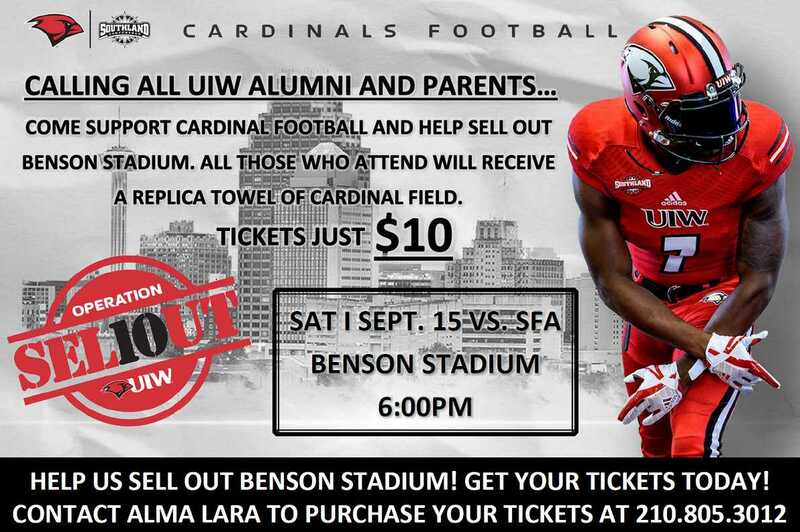 UIW Alumni & Parents only pay $10 per ticket. Click the image to purchase online or call Alma Lara at (210) 805-3012 today!